The tiger seemed to be friendly when authorities came to visit. 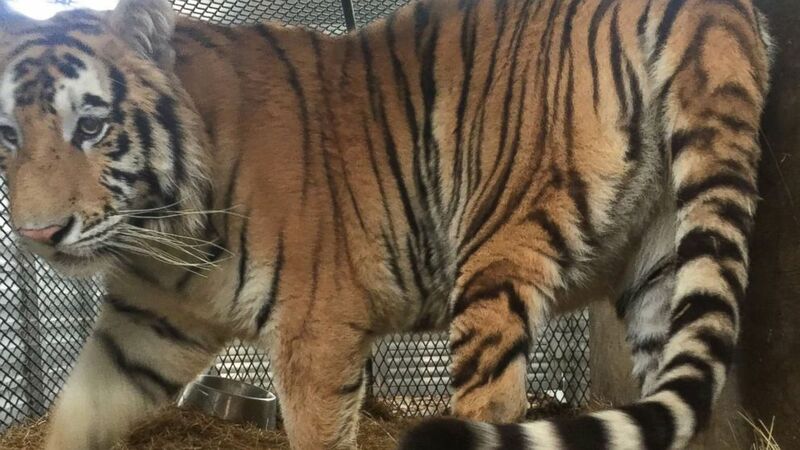 Authorities say they spoke with the caller to determine whether the information given was due to the effects of drugs, or if the tiger was real. Houston Police and a representative from BARC, Houston's animal shelter and enforcement division, were dispatched to the house, and animal control officers could hear and smell a tiger, Lara Cottingham, a spokesperson for BARC told ABC News. After obtaining a warrant, officials entered the property where they found a caged tiger in the garage. 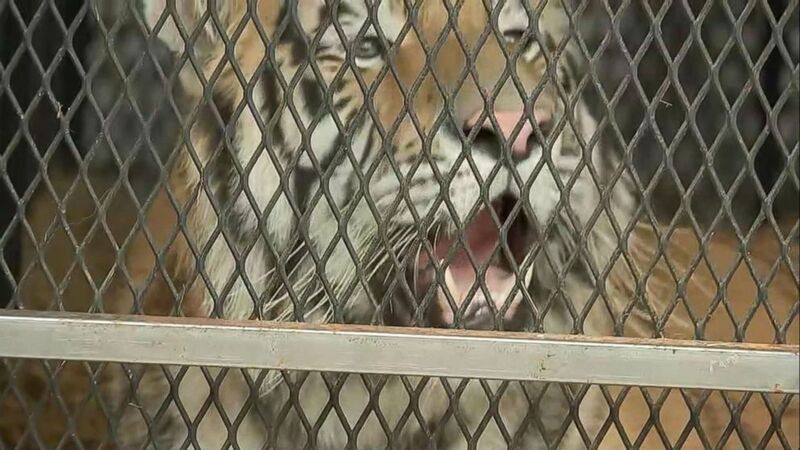 (KTRK) A female tiger recovered from an abandoned home in Houston, Texas is relocated to a care facility north of the city in an image made from KTRK video, Feb. 12, 2019. The tiger seemed to be friendly and wasn’t growling, Cottingham told ABC News. Packages of meat were also found, according to Houston ABC affiliate KTRK. Animal control tranquilized the animal in order to move it, and a horse trailer was used to transport the animal to the BARC shelter, where it spent the night. The tiger appeared to be in good health, according to officials, and is scheduled to be assessed further. While this is not the first instance of a tiger being found in a U.S. urban area, it is fairly rare. (City of Houston) A female tiger recovered from an abandoned home in Houston, Texas is pictured during her relocation to a care facility north of the city, Feb. 12, 2019. “This is not a pet, this is a wild animal,” Cottingham told ABC. 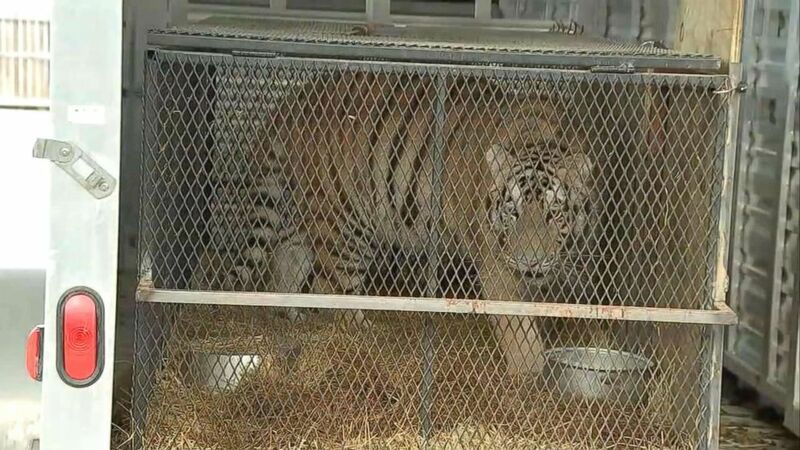 The tiger was transported Tuesday to a facility in Texas that is able to support such an animal.